Pretty Jan 22 2018 4:52 pm This was GDragon oppa's favorite drama back in 2007. He told a auote of it on a fanmeeting back then ? Pryate Aug 06 2017 7:24 pm I dropped the serie at episode 12. I adore historical dramas, but this one is only about castration and testicles. The scenes of violence and humiliation are too complacent. The characters are caricatured. Ozzie Santagada Jun 02 2017 9:15 am This series is long and terrible. Its value is that it allows to know the life of the eunuchs, that for the westerners is only a thing of the Greco-Roman past. Only eunuchs remain in India. The sacred mode in which kings were treated, as if they were divinities, also impacts the Westerner. In this series the kings appears like they are unuseful to govern anything, less themselves, dedicated to lust and far from the needs of the people. It's more theater than cinema. The bad ones are too bad and the good ones appear like fools. The male actors are quite good, especially Jeon Kwang Leol and Ahn Kil Kang. The female actresses are regular except Lee Jin who stays in a role that suits her face. There are too many tears and too much pain in this series. The best part is the beginning, when you see as children the three main actors. The music is boring and the scenes almost always unfold in interiors without taste. The scenes from the final chapters with the crazed king are disgusting. In the end all die. It is a series too long and with the life of court intrigue minutely reported. I would not recommend this series, as I would do with Daebak, Dong Yi, and Horse Doctor, or The Flower in prison. Sorry. Shinubi Wang Apr 29 2016 3:22 pm Bad casting! Bad! Bad! Going into episode 9 and they are all grown ups, well into their late teens but we have over aged actors playing these characters - Oh Man-Seok, Ku Hye-Sun and Ko Joo-Won. Worst was Man-Seok, then aged 32, playing a late teen Cheo-Sun. The other two were in their 20s. Are they really short of teenage or early 20s actors? I don't think so, just lazy production directors. Shinubi Wang Apr 29 2016 5:42 am Just getting into episode 2 and I am getting pissed off already. They cast a 42 year old (then) Jeon In-Hwa to play Crown Princess Insoo who was 20 years old when her husband, Crown Prince Uigyeong, died in 1457. 18 year old Yejong, when he became king in 1468, looked as fit as a fiddle when he was supposed to be too physically ill to govern (he died about a year into his kingship). WTF! While this was supposed to be a fusion saguek, at least get some facts correct to be consistent with the plot. Teling Aug 25 2015 10:01 pm I finally finished the whole chapter of this drama. A lot of sad scenes that left me crying. The strong will to live and take avenge of hatred for the woman one loves, but even a stronger will to protect the woman he loves and the one who loves him back. In the end the true love will always win over one sighted love. SHALEN Nov 09 2014 10:21 pm for me this movie made me cry for almost a week! !i just can't stop my tears whenever i remember the sufferings of the character!! !love the cast of king and i!!!! katya Dec 18 2013 11:16 am I liked this drama, especially characters of eunuchs. Though I failed to understand how Kim Cheo-Sun character could achieve the greatest feat in the history of eunuchs. 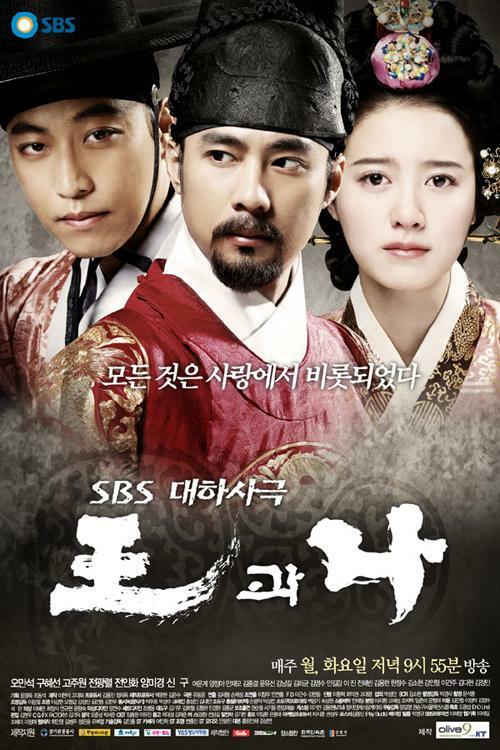 What made me watch this show until the end is actually his foster father, Jeong Gwang Ryul and his loyal bodyguard. Great performance. vone Jul 31 2013 9:30 am i hate the character of yoon so-wha i'm not sure if i'll continue watching this drama, she's so stupid didn't she know that? the writer makes her role so unbelievable. i'm starting to hate her instead of liking and pitying her. she used to be a straightforward fighting young agassi but now she's a totally absurd person.